Every year, ShipCompliant teams with Wines & Vines to report on the state of the direct-to-consumer wine market. 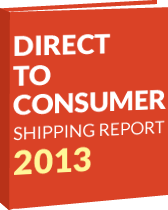 The 2013 Direct Shipping Report is now available! If you are feeling antsy, feel free to click here to download the report! If you’ve got a few minutes, we’ve provided some summary highlights below. The model, built to project the totality of winery direct-to-consumer shipments, provides a vivid picture of this important distribution channel.The report is based on millions of anonymized transactions in our ShipCompliant Direct software that ultimately led to direct shipments from January 2012 through December 2012. Using the comprehensive Wines & Vines database of all 7,400+ wineries across the United States, these transactions are the basis to project total shipments from all United States wineries using multiple stratifications including location of winery, annual production of winery and destination of shipment. According to our data, American wineries have been shipping more wine every year. Direct-to-consumer orders reached a new high of over 3.1 million cases in 2012, representing a 7.7% increase from 2011, and a 17.7% increase from 2010. That equates to over 72 bottles sold per minute, or 1.2 bottles sold every second! It’s not just the volume that’s growing; the average price of a bottle of directly-shipped wine has also risen over 5% in the past two years, which leads us to record sales of over $1.465 billion in 2012. These figures show that the direct shipping market is quickly becoming a more important (and more profitable) distribution channel for wineries than in years past. Expand your direct shipping footprint; order licenses for new states here! If we compare the annual sales of the direct shipping market to the U.S. Export figures released in February by the Wine Institute, we find that the 2012 value of domestic direct shipping ($1.465 Billion) exceeded the value of wines exported from the United States to Europe, Asia and the rest of the world. In addition, the average price of a direct shipped wine is 26% more than the average bottle of wine exported from the the U.S. The fall and winter rush at wineries is showing no signs of slowing down. Our data from 2012 shows a remarkable skew towards the last four months of the year, and is approaching a level of dependence that usually is only seen by the inflatable Santa Claus lawn ornament industry. Our research has also shown that the last quarter of the year saw 37% of total sales in 2012, and September sales of direct wine jumped 26% year over year. This should be a call to action for your business– if you aren’t focusing the majority of your energy into fall and holiday season, you should be. This is just a sample of our findings. We’ll be analyzing additional elements of the report in the coming days. In the meantime, check out the entire report by clicking the link below. Click here to download the 2013 Direct Shipping Report today!